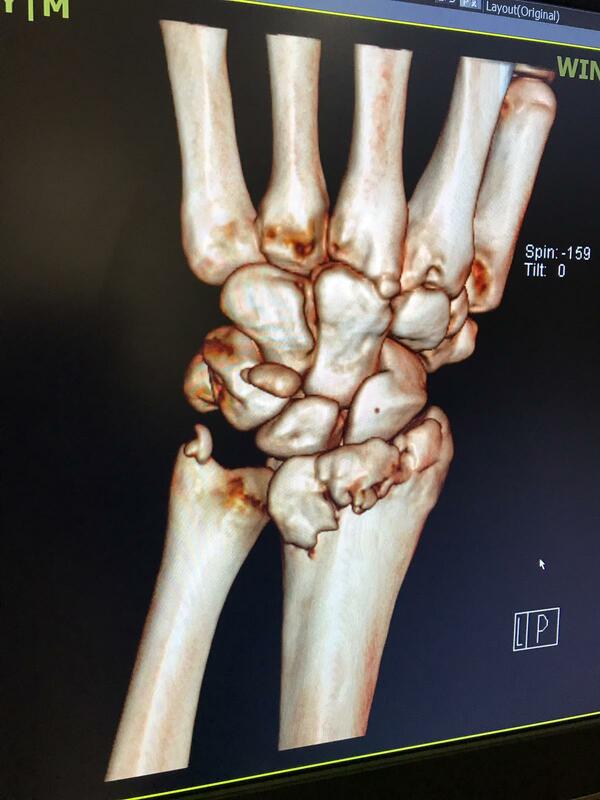 Sam Reynolds Out of DarkFEST Line Up with a Broken Wrist. Architect and one third of the DarkFEST team, Sam Reynolds is out of this year’s competition after smashing his wrist to pieces. Wideopenmag would like to wish Sam a successful operation and a speedy recovery, hopefully we’ll see him back for the FEST series dates later in the summer. Read on for all the gory details. On Tuesday evening the guys had a test session and started warming up on the step up and drop, checking speed for the newly upgraded big beast of a trick jump. The nerves were high, testing jumps of this size never gets less scary. 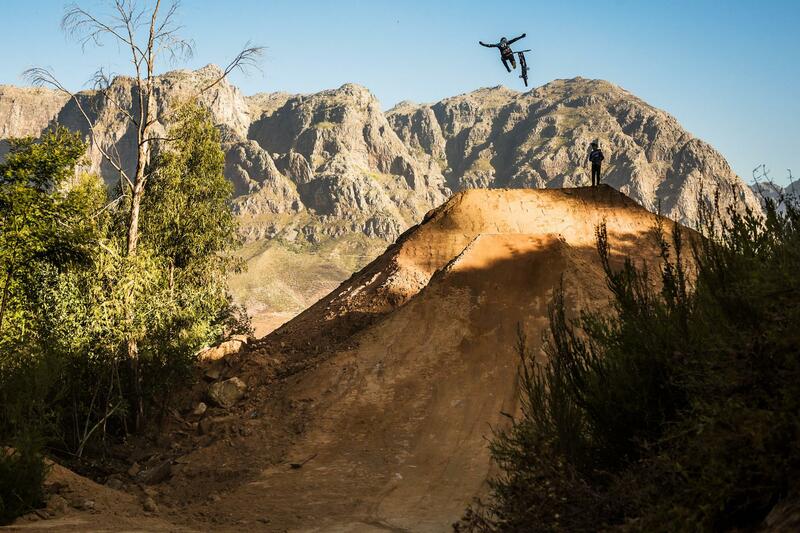 The lip is around 5m tall with the landing 15m away, which makes this one of if not the biggest trick jump ever. After a few run ins to eye it up, Sam decided to send it first. Not knowing what speed to head into it, his main concern was overshooting it. With such a steep landing you could end up coming down a long way. He went in fast, but not full speed and popped so high off the lip. Unfortunately he just didn’t get the distance and had to hit the eject button. He came down hard on the back of the landing that is like concrete, taking a lot of the impact on his foot, hip and shoulder all on his right, but his left hand and wrist took the brunt of the force and he’s fractured and dislocated some of his carpals and shattered the end of his ulna and needs to go in for surgery. This obviously means he won’t be able to ride at DarkFEST, which we are sad to say, but the madness will still continue and Sam will be around to chat to fans and cheer his friends on. 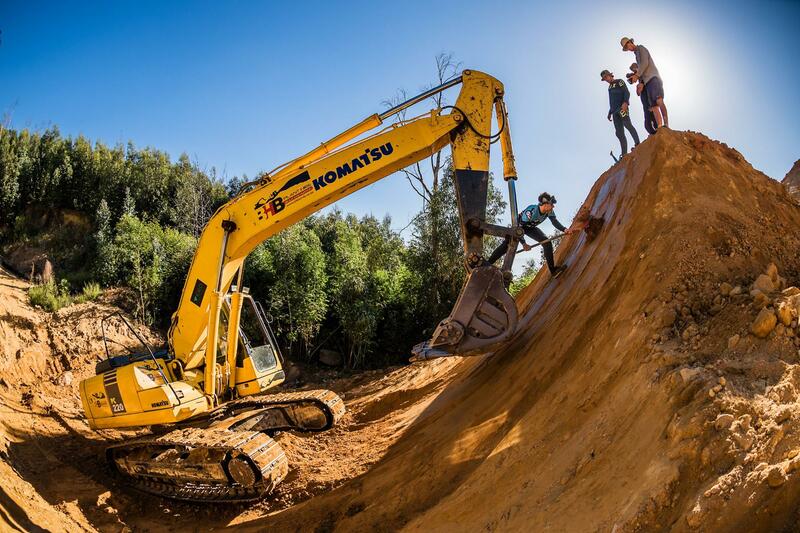 Clemens jumped in the digger the next morning and reshaped the lip to make it safer. These guys are pushing the boundaries of what is possible on a bike and with their experience they are often on point, but every now and then the calculations are slightly off and these are the risks we forget when we watch them fly through the air and make these jumps look so smooth and effortless. 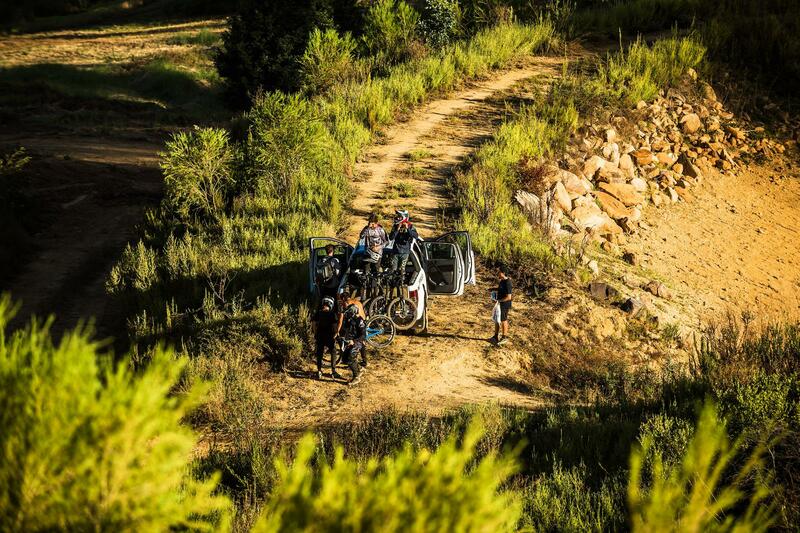 A crash like this at normal trails would leave you with a few bruises, but with the sizes the guys are dealing with here any small miscalculation has much higher risk, so they really do focus on trying to keep everything as safe as possible. 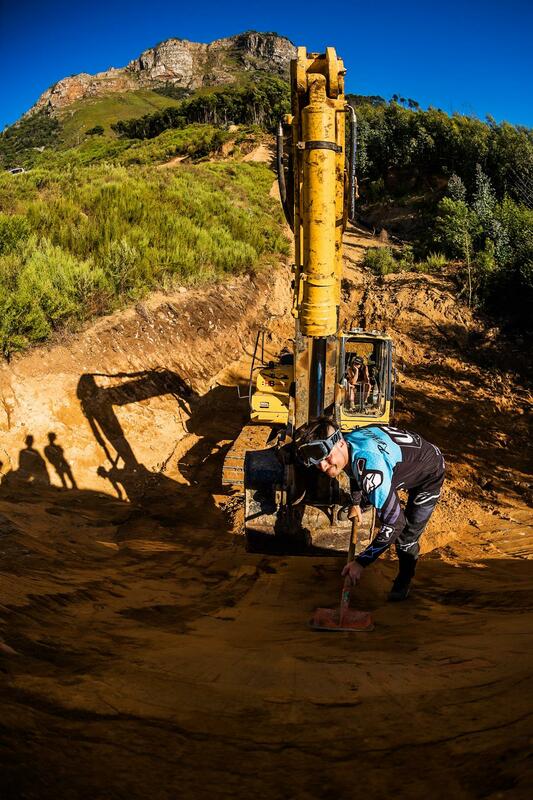 Keep an eye out on Wideopenmag for more updates as the DarkFEST build and competition gather pace.